Naval combat is taking center stage in Assassin’s Creed IV: Black Flag, and the latest trailer shows off the aquatic mayhem. Protagonist Edward Kenway will find himself aboard pirate vessels, alongside the likes of Edward “Blackbeard” Thatch and Anne Bonny. Check out the carnage below. This style of combat was first introduced to the franchise in its most recent entry, but is being expanded upon for Black Flag. 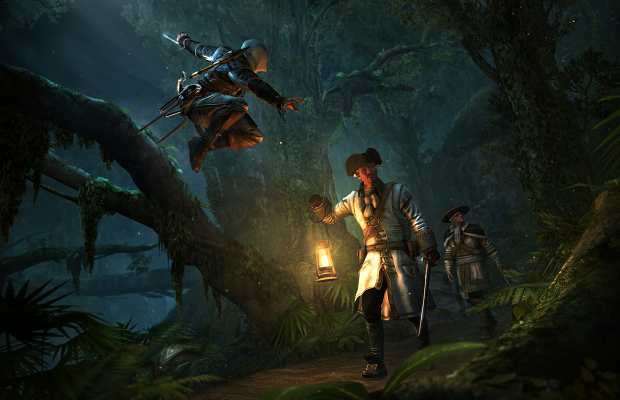 Assassin’s Creed IV is scheduled to hit the PS3, Xbox 360, and Wii U October 29th, 2013. PC, Xbox One, and PS4 versions are also scheduled for Q4 of this year, but no release date has been confirmed.